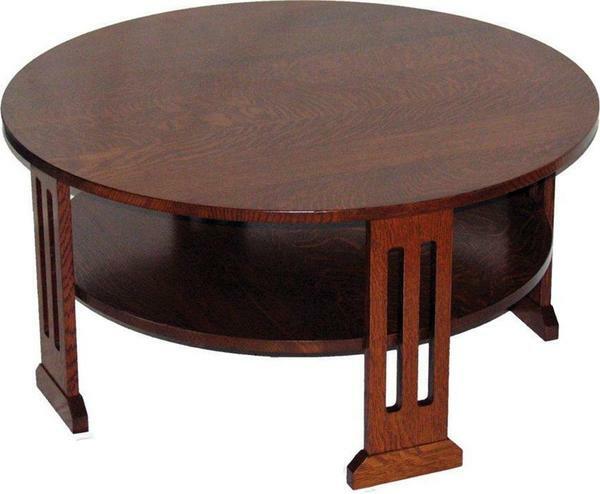 Our Amish Contempo Round Coffee Table is contemporary style all the way. The round design features a clean aesthetic that is brought to life with four slat-like legs with cut out details that help to add interest and a slightly formal feel. The solid top and open shelf make will bring functionality to any space. Shown in quarter sawn white oak with OCS-111. Can be custom-made from a variety of wood and finish options.